This Website is operated by World n Traveland, a company incorporated and registered in Nigeria. This notice applies to all personal information collected or submitted on the World n Traveland website, or in telephone or e-mail communications. â€œPersonal informationâ€� for the purposes of this policy means any information about an identified individual, or an individual whose identity may be inferred from the information. Personal information includes name, e-mail, mailing address, telephone number, date of birth, billing and account information and other information incidental to providing products or services available on this website or provided by World n Traveland generally. We use Session Data, collected through cookies and pixel tags, to better understand how our Website is navigated, how many visitors arrive at specific pages, the length and frequency of stays at our Website, the variety of searches of our Website's database, the types of browsers and computer operating systems used by our visitors and the Internet Protocol addresses from which visitors connect to our Website. We also use this information to improve our Website content and ease of use, to personalize and improve your individual viewing experiences on our Website, and provide information that may be of interest to you. Aggregated information is information, recorded in any form, about more than one individual, where the identity of the individual is not known, and cannot be inferred from the information. We may use aggregated information to describe our user base to current or potential partners, investors and advertisers; after a survey, to understand and respond to market needs and preferences; or to make recommendations to other users of our Website. For example, if users of our Website who have travelled to a particular destination told us that they had positive experiences at a hotel in that destination, we might recommend that hotel. We do not share this information with outside parties except to the extent necessary to complete that request or as permitted or required by law. ?Finally, we will never use or share the personally identifiable information provided to us online in ways unrelated to the ones described above without also providing you an opportunity to opt-out or otherwise prohibit such unrelated uses. To those travel service providers with which you make arrangements through our Website, for example, airlines, car rental, hotel, ground transportation or travel insurance. We provide them with the Personal Information needed to make and complete the purchase, booking, or reservation. 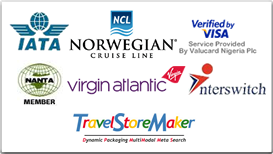 To organizations that perform services for or on behalf of World n Traveland, for example to provide customer service, deliver tickets, ship items, process credit cards, for research, marketing, data processing, to measure the use of our Website or to facilitate usage visitors. We will share with these companies only that Personal Information which they need to work on our behalf. Your Personal Information will be provided to these organizations only if they agree to use such information solely for the purpose of providing services to World n Traveland, and under the instructions of World n Traveland, and with respect to that information, to act in a manner consistent with the relevant principles articulated in this Policy. To protect our Website and our rights under our website terms and conditions of use; to protect ourselves against liability or prevent fraudulent activity; or where it is necessary to permit us to pursue available remedies or limit any damages that we may sustain. If required to comply with an order or warrant issued or an order made by a court, person or body with jurisdiction to compel the production of information, or to comply with the rules or court relating to the production of records. Third parties advertise on our Website. We do not share any Personal Information about you with these advertisers unless you give us permission to do so, separate from any permission you provide during the Member registration process. When you click on one of these advertisers' links, you are leaving our Website and entering another site. We are not responsible for such third party's sites. You should carefully review the privacy statements of any other site you visit, because those privacy statements will apply to your visit to that site, and may be very different from our policy. World n Traveland may from time to time monitor and review any information transmitted or received through the Website, or through telephone or email communications, for quality assurance and other purposes. We reserve the right to censor, edit, remove, or prohibit the transmission or receipt of any information that World n Traveland deems inappropriate, or in violation of these Terms and Conditions. During monitoring, the information may be examined, recorded, or copied.